The Home screen can have multiple panels. The Watch screen is the starting point of the Home screen. Rotate the bezel to view items on the screen, such as notifications and widgets. 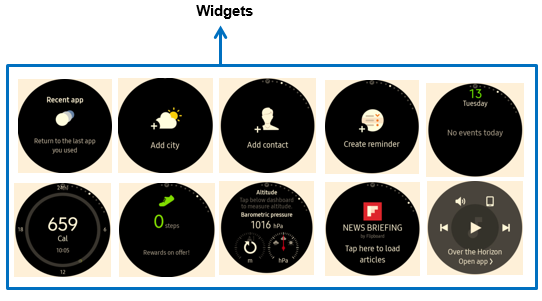 To add a widget to the Home screen, starting from the “Watch” home screen, rotate the bezel clockwise till you see the “+” icon. Tap the “+” icon and then rotate the Bezel clockwise at first to see available widgets. Tap on a widget to add it. The selected widget appears in a new panel. 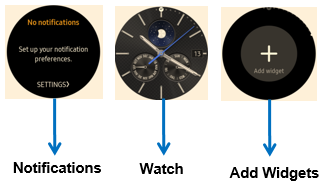 How do I set the GPS on Gear S3?